I’ve Seen it All, but not EVERY house! Let’s get one thing straight: I’m a real estate agent not a shape-shifting, time-traveling superhero who can be everywhere at once and has encyclopedic knowledge of every home for sale right up here (psst! I’m tapping my forehead to indicate my all-too-human brain). 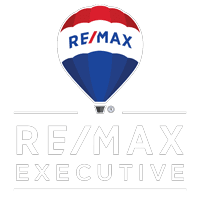 That said, I am a really good real estate agent with a proven track record and lots of happy clients, and there are many things I can do (almost magically, even!) and many things I do know (I’m pretty on the ball!). 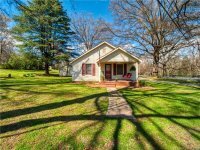 But here’s what I don’t know – absolutely everything about every house for sale in The Charlotte area. And I’ll let you in on a little secret, no one does. There is not one agent anywhere who can say “it’s all up here” about that many properties. So, when people call and ask about such-and-such property on so-and-so street, they should not be surprised if I need to do a little research. If it’s my listing or one I’m familiar with, I’ve got it down. But if it’s not, give me a minute, and don’t hold it against me, okay? And even if I don’t know that particular property, here’s what I probably will be able to tell you off the top of my head: What the neighborhood is like (It’s likely that I’ve sold or shown homes there). And whether that area meets what you’ve told me your must-have requirements are. And I’ll find out the rest. I promise. I may even uncover homes that you don’t know about. Not everything is listed online and we real estate professionals have quite a network, through which we find out about homes that are about to come on the market or others that are dropping in price. I may not have seen every home, but I have “seen it all” and I’ve got your back and your best interests at heart.